There are renewed concerns over the state of the global economy with fears that too much debt and an ageing population could lead to increased economic problems with the potential risk of another global crash. "There is too much debt and this represents a risk to economies. Consequently, there is a clear need to generate growth to work that debt off but, as demographics change, new ways of thinking at a policy level are required to do this." Along with high levels of debt, which in many European countries surpasses 100 percent of gross domestic product (GDP), Mr Moore believes global trends on demographics and an ageing population is placing even more pressure on economies and their debt problems. "The demographics in most major economies – including the US, in Europe and Japan — are a major issue – and present us with the question of how we are going to pay down the huge debt burden. With life expectancy increasing rapidly, we no longer have the young, working populations required to sustain a debt-driven economic model in the same way as we've managed to do in the past." Among those countries with the greatest concern is Japan, with its gross government debt rising above 200 percent of GDP, which Mr Moore says is "evidently not sustainable over the long term". 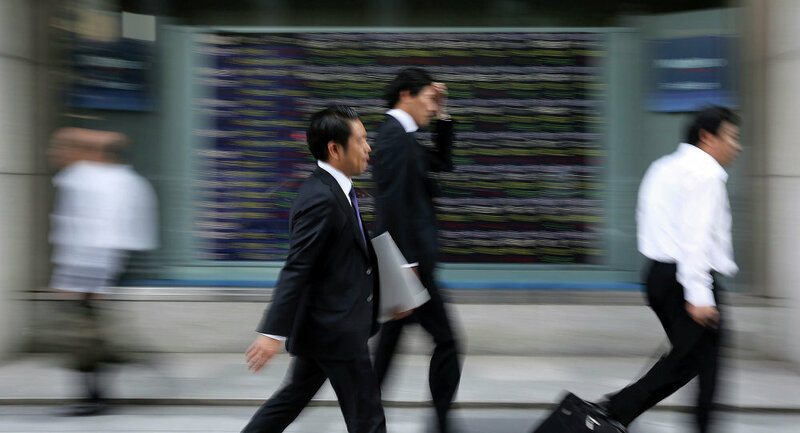 The think-tank Organization of Economic Cooperation and Development (OECD) earlier this month raised an alarm about Japan’s current state, warning that government debt was on course to rise to as high as 400 percent by 2040 unless significant reforms were carried out. The issue of debt is not just affecting Japan, but is also a serious issue among many European states, with many EU countries receiving bailouts to help pay off their expanding debt problems. Among the worst in Europe is cash-strapped Greece, whose debt is 176 percent of its GDP. Many analysts say the country will never be able to pay back its debts to European creditors, which has led to an increase in tension between Athens and Eurozone partners and fears of a Grexit from the bloc, as Greece tries to peel back austerity measures and secure a new deal on its bailout agreement. The debt problem is far from isolated to Greece though, with Italy’s debt to GDP ratio at 132 percent, Portugal’s at 131 percent and Ireland’s at 114 percent. However even some of the economies considered to be among the strongest in the world are suffering from dangerously high debt to GDP ratios with France (95 percent), the UK (88 percent) and even the United States (106 percent) drawing the concern of many economic analysts, particularly when compared to the correspondingly low debt ratios in other countries like Russia (16 percent) and China (41 percent). The high debt levels have led many to question the sustainability of current systems of credit and wealth creation and whether a complete restructure of Western economies is needed to avoid another global financial crash. Blame the Banks: How Did We Get Into This Situation? Since the global financial of crisis of 2008, many have asked how national debt has been allowed to build up to the unsustainable levels that led to the global collapse of financial industries. Analysts have pointed out that excessive borrowing from private banks was a key factor leading to the global collapse, as the new spending in many countries gave the impression that economies were doing well, despite being built on credit. While national governments have been struck with debt, experts point out that reckless over-borrowing from banks created the debt problem in the first place. "Governments usually get the blame for excessive spending, but governments did not initiate the crisis. The collapse was in the banking system, and in the credit that it is responsible for creating and sustaining," Ellen Brown from think-tank Global Research said. Brown says that the method of creating wealth through loans and credit, which has become a powerful tool for the global economy to operate on, contains a "fatal design flaw" relating to the interest that is paid back on loans, which is often invested by banks beyond the reach of borrowers, who then struggle to make repayments and ultimately need ongoing loans of bank credit money. She says that the nature of the Eurozone single currency adds to the debt problem, as a fixed currency system that doesn’t allow for expansion to meet private lending trends contributes to an ongoing debt cycle. "Today this problem is particularly evident in the EU… The result is that EU member nations collectively are being crippled by debt."